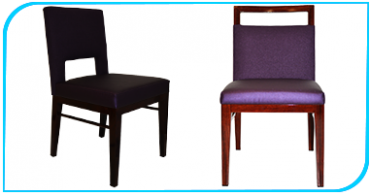 With Senova Seating, you’ll always find the perfect chair to match your seating needs. 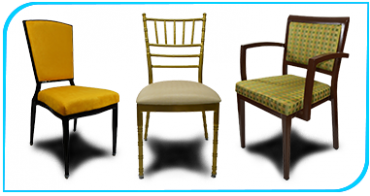 Whether you need a utilitarian stackable chair or plush dining options for your guests, we have just what you’re looking for. Our newest ALUM-WOOD Collection offers the largest offering of ALUMinum frames with WOOD grain finishes. Backed by our 20 year warranty, we can substantially duplicate most any wood chair counterpart. 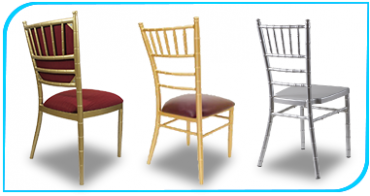 Senova Seating offers the classic Chiavari style chair model in three separate tiers, giving you the option of choice when it comes to bar thickness, cushion style, back arch, and price. "Great chairs come from folks with great chair experience"